Like parents with multiple children, it’s hard to pinpoint my favorite peak at Breck. They’re all remarkable in their own special way. I’ll spend afternoons bonding with Peak 10’s black diamond rippers, lapping the lovely Volunteer trail on Peak 9, endlessly hugging Horseshoe Bowl and sneaking off for quality George’s Thumb time. Of course, Peak 7’s playful rollers and snow-loaded Ore Bucket will always have my heart. But it may be Breckenridge Ski Resort’s newest baby, Peak 6, that grabs my attention and holds it. I still remember Peak 6’s 2013-14 debut season and how pumped we all were to explore a fresh side of the mountain. The resort gifted us an incredible present and cut the ribbon on Dec. 25, 2013. The high-speed six-person lift whisked us up and away to what felt like a whole other ski resort. Expansive views of the entire county from the top of Peak 6. 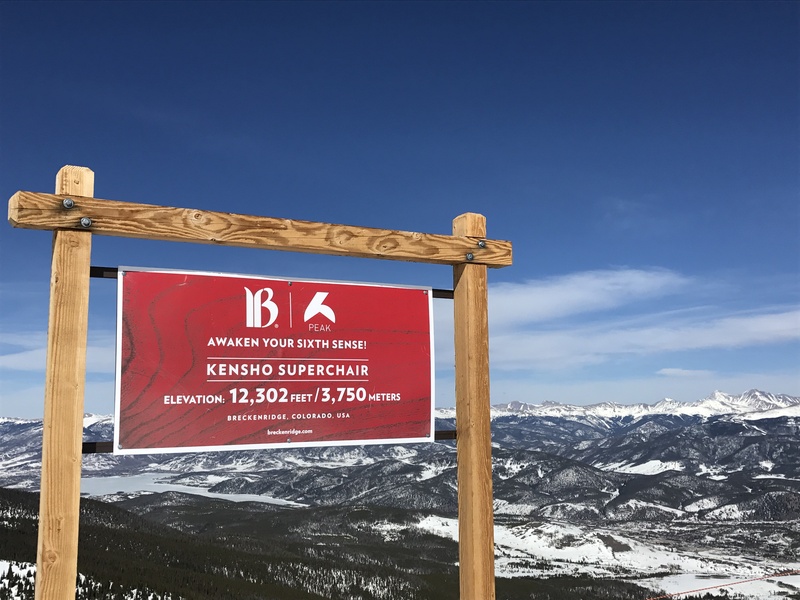 It was the biggest expansion in North America in more than a decade, notching the resort’s skiable acreage up by 543 acres (400 acres of lift-served terrain and 143 hike-to). What’s not to love about this golden child? 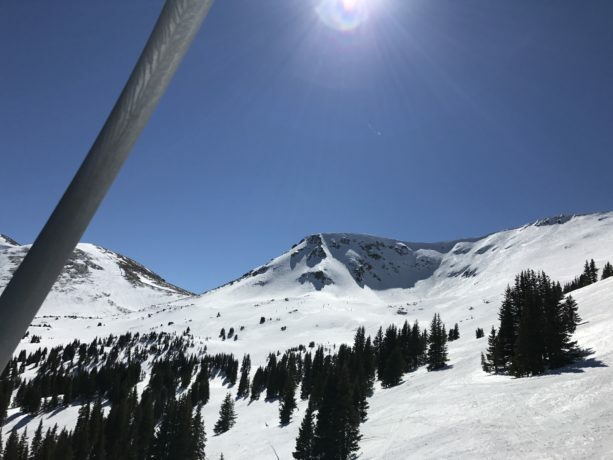 The three above-treeline bowls are wide-open powder fields after most storms. The Zendo and Kensho SuperChair keep people moving uphill. The trail names and terrain are whimsical and exciting—titles like Epiphany, Rapture, Sublime and Bliss were selected from visitor submissions sent in from around the world. Dipping out the north gates makes you feel like a sidecountry pro, skimming the edge of Peak 5 and gaining a whole new perspective of the Ten Mile Range’s powerful landscape with the White River National Forest backcountry stretching out for miles below. I think what I appreciate the most is the variety. 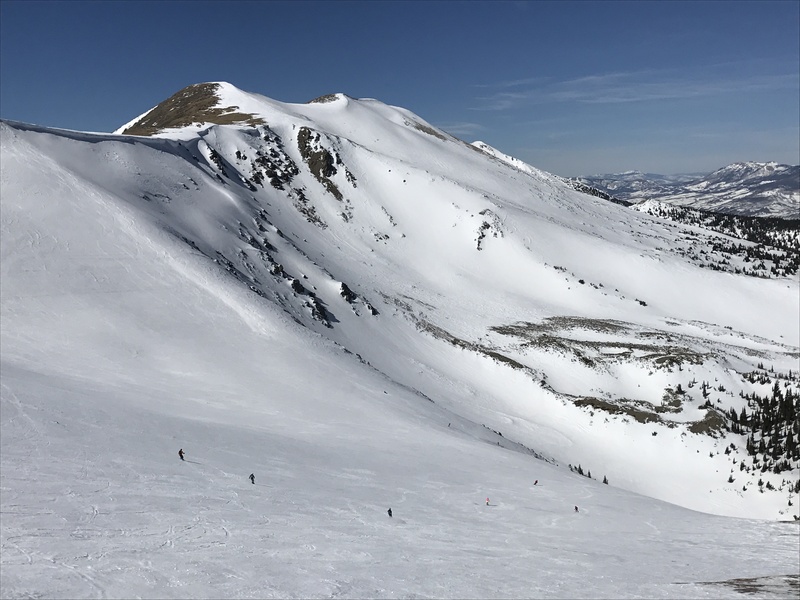 There’s airy and tight glades, intermediate groomed terrain, those beautiful bowls, and a ridgeline that begs to be hiked for its big mountain steeps, chutes and technical lines. There’s some serious extreme playground terrain over here. And the hike-to skiing is accessible for average Joe advanced skiers (that’s me). If I’m with a mixed group of Front Range friends and Summit locals, everyone finds something they dig. Peak 6’s pristine Intuition bowl skis soft on a sunny spring afternoon. Peak 6 is also home to the GoPro Big Mountain Challenge, a world-class freestyle skiing event where guests can post up and watch young athletes rip steep lines, tight chutes and cliff drops. More than a million vertical feet and three years later, there’s so much more ground I want to cover on Peak 6, so much adrenaline-inducing potential that this baby has to offer. Don’t tell Peak 10 I said that.